I’m going to start something a little different on my website. Rather than just announcements and such, I’ll make this a blogging space too. My inaugural blog post is about Florence + the Machine‘s Florence Welch (here’s a quick profile I made about her early this year: http://www.examiner.com/alternative-music-in-national/alternative-music-spotlight-florence-and-the-machine). Besides being gorgeous and stylish in her own way, she’s also a great singer and songwriter. Her powerhouse voice makes me wonder if there is such a thing as vocal steroids. How does she never lose her voice?! 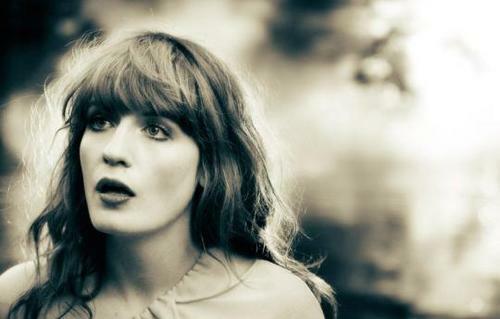 Her new album Ceremonials will be released November 1st, which I’m quite giddy about. Hopefully I’ll have another chance to see her live. She has quite the presence onstage in her dramatic, flowing clothes (that are often more like costumes). Anyway, enjoy the lovely Florence. My artwork at a museum? Sounds good! Florence is a muse! I find her to be Britain’s equivalent of Cat Power for some reason. The voice, their influence in fashion…Its just fantastic. I never really listened to Florence and the Machine, but I checked out Ceremonials and I fell in love with it instantly and its probably my soundtrack for 2011! Shake It Off gets me all the time. The album is great! Since you like Florence, you should check out St. Vincent too (her new album Strange Mercy is great).